SecureVideo - Chrome: App is installed, but nothing happens when I click "Connect" or "Enter Waiting Room"
Chrome: App is installed, but nothing happens when I click "Connect" or "Enter Waiting Room"
you can join sessions in browsers other than Chrome. 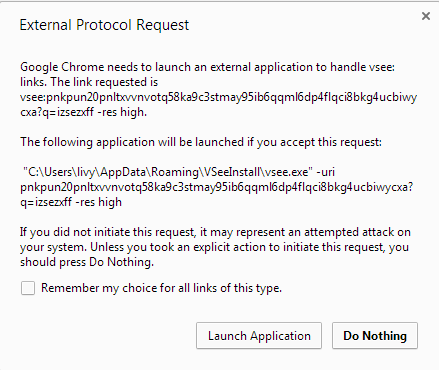 If you click Launch Application, or Open URL:VSee Protocol or Open URL:Zoom Protocol Chrome will allow you to proceed. However, if you click Do Nothing, or Dont Open Chrome will remember your preference and you will not be able to use Chrome for your SecureVideo sessions. If you have accidentally clicked Do Nothing, or Don't Open here are instructions for resetting Chrome. 1. Quit Chrome (or else none of these changes will save!). Important: Check in the System Tray that Chrome is not allowed to run in the background, or the changes will not save even though Chrome is not actively open. 2. 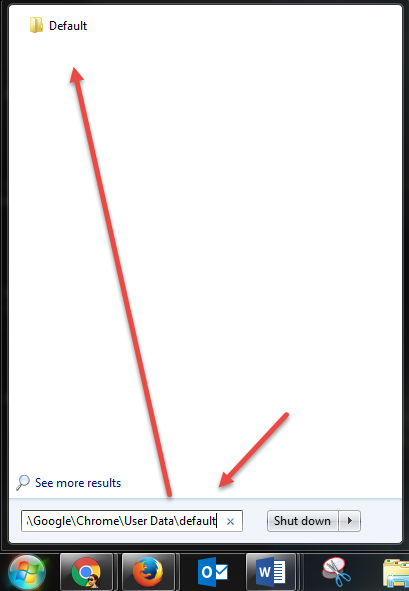 From your Start menu, search for %LOCALAPPDATA%\Google\Chrome\User Data\Default and open the folder Default. 3. 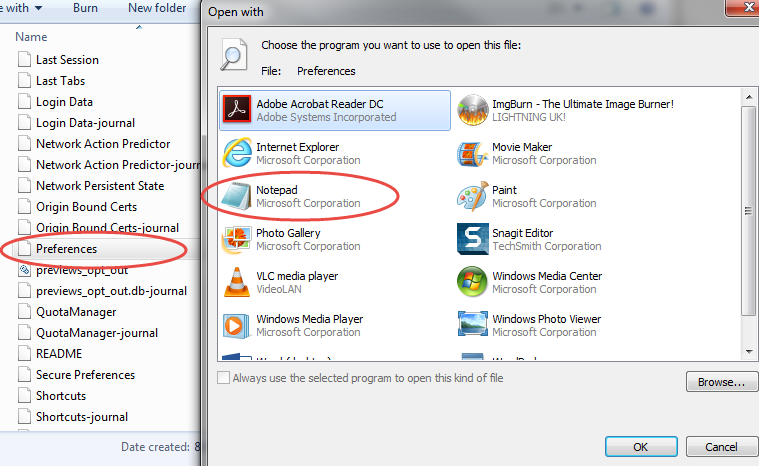 Open the file Preferences using Notepad. 5. Delete true and replace it with false. 7. 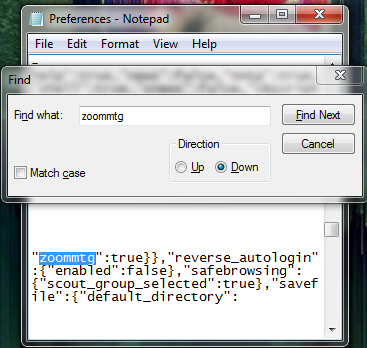 Re-open the file, and verify that the vsee and zoom lines have been changed. 9. Attempt to join your session again. 2. 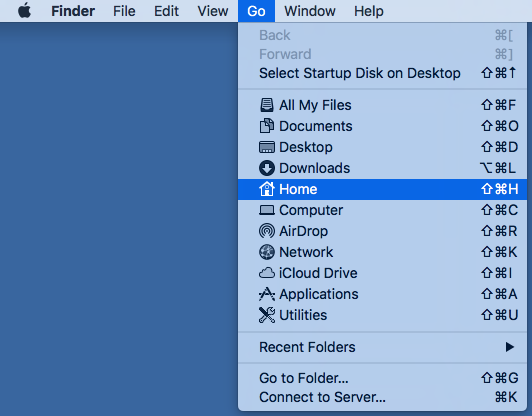 You will need to find and open the file Local State. 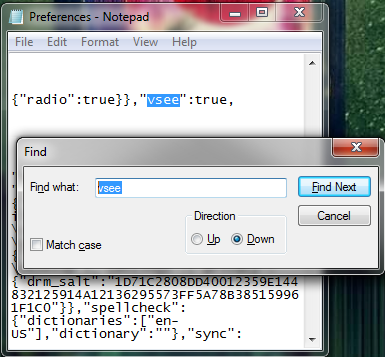 Open a Finder window, and go to Library -> Application Support -> Google -> Chrome, and find the file Local State. 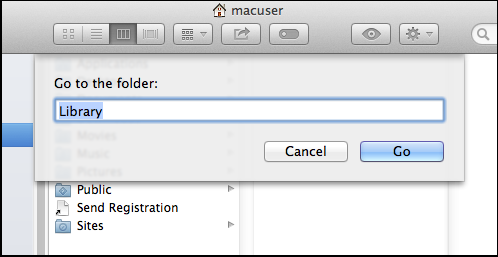 On a Mac OS X 7 (Lion) or later: the Library folder may be hidden. 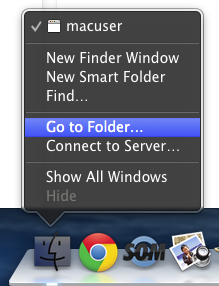 To find it, right click on the Finder icon and select Go to Folder... enter "Library". 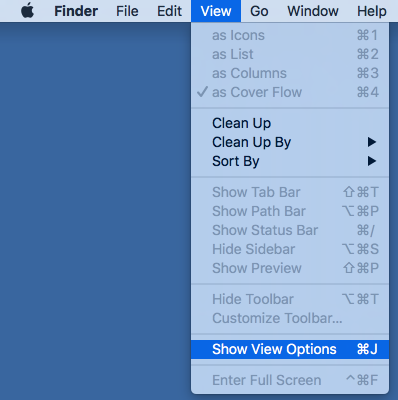 In the Finder menu, choose "Go", then select "Home"
Next, in the Finder menu, choose "View", then "Show View Options"
Make sure "Show Library Folder" is checked then click "Use as defaults"
3. 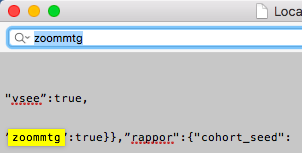 Once you've found the file Local State, double-click to open it using TextEdit. This article was last reviewed by our Support team on July 6, 2017.